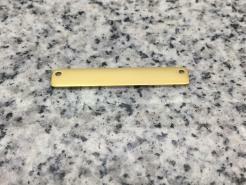 PREMIUM 1/4'' x 1 1/2'' (6mm x 38mm) Yellow Gold Color Rectangle w/ Double Corner Holes Stamping/Engraving Blank, 22g Stainless Steel - Durable Yellow Gold Color Titanium Coated Shiny Mirror Finish on all Surfaces. 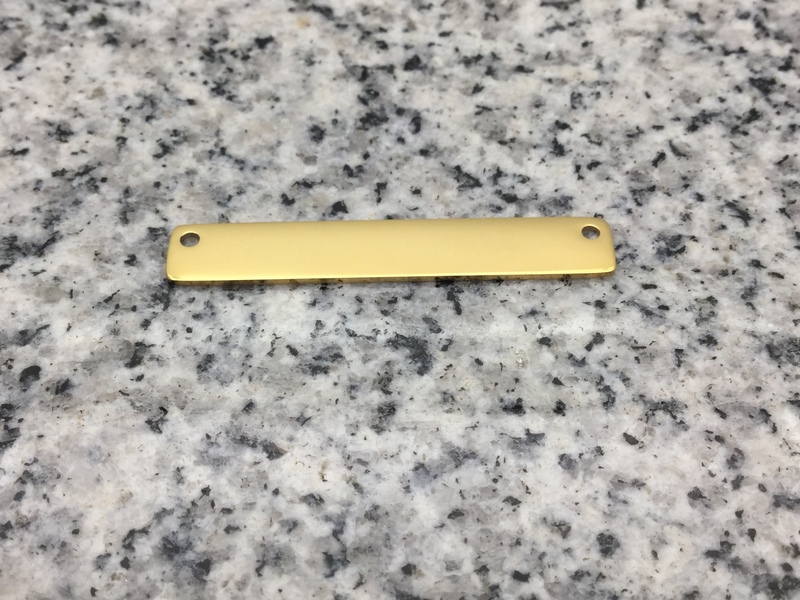 Using our very shiny stainless steel blanks will allow you to offer your customers products that are beautiful & very affordable. For many years luxury watchmakers have appreciated that stainless steel is an excellent choice for producing quality jewelry. It is hypo allergenic, does not rust, change color or tarnish. And because it is so durable, items crafted with it can be treasured for a long time.